Celebrate House Lannister from HBO’s smash hit television series Game of Thrones with this artfully designed ruled notebook. House Lannister is known for both its great wealth and ruthless cunning. 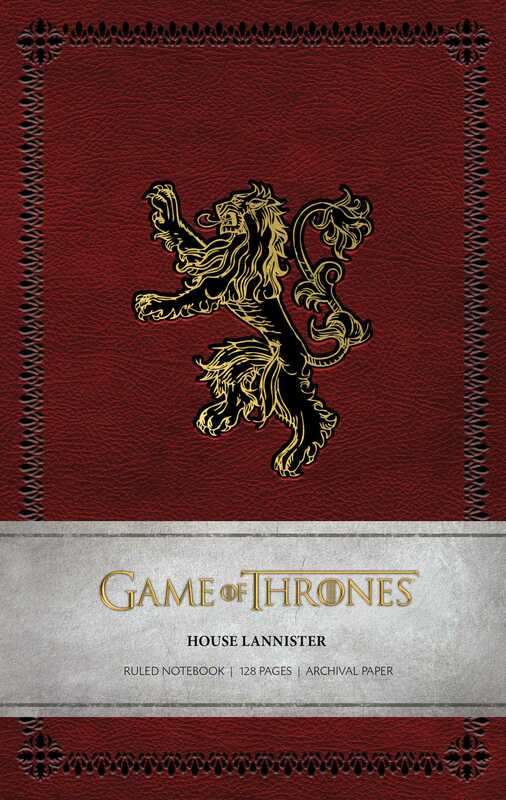 Those with the courage to cross the Lannisters soon come to learn the truth behind the well-used adage, “A Lannister always pays his debts.” This beautifully crafted ruled notebook features the Lannisters’ sigil: The lion, symbolizing the ferocity and pride of House Lannister.